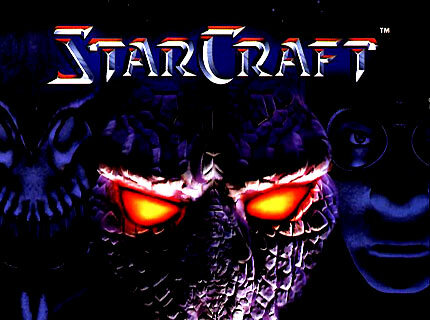 Well, Starcraft is and was a global phenomenon. It was GotY when it came out, it has been nominated for Walk of Game 2005, and millions of people still play it to this day. The gameplay is like a typical RTS. Click on a unit, right click to move it. I am sure you all know how it works. The re-playability is excellent, and almost never gets old. It is a pretty easy game to get into, seeing as the first few levels of each campaign are simple tutorial levels. The levels in the campaign DO get hard, however. Me and my dad are still stuck on the final Terran mission. Oh, yes, the races! The races are: Terran. They are basically the human race. Where tanks and other technologies are vital. Then comes Protoss. They have technology so advanced and complex, they have shields, robots, and many others. Then, the Zerg. The Zerg are simply all around organic. Everything lives. Even the buildings are just advanced mutations. The multiplayer is simply brilliant. Up to eight(?) players may duke it out in classic and original maps. Well, nothing too special here. The units are not too detailed when on the screen, but the breifings do show pretty detailed faces. They talk when you hear talking, which can sometimes be a bad thing, but, whatever. The blood is almost cartooney, and not very detailed. Well, there is really nothing to fret about here. It is all pretty good, voice acting and everything. The only few things are the very-little static death screams, which are not even that bad. The background music is not bad, but it is not too good, either. Yes, this game IS stable! I did not find any problems with my computer playing this. This is pretty good. At the bottom, you have your typical map/unit info/interface, and the top is your resources, and the middle is your field of play. And now, what we have all been waiting for! There is a ton of violence in this. Mainly killing in self defense. (-4). A bunch of blood show up when somebody dies. (-1.5) AND seeing as everything "explodes", body parts are unattached. (-1.5) The protoss templars and zealots burst into flames, and dragoons are robotic, so that has to be fuel or something. Total score?? Lets find out! 77/100. Were not expecting THAT, were you?? Well, it is fair!